SUN PHOTO BY TOM CHANG, Englewood artist Garry Walter's work, including these pencil drawings used in the film "Dolphin Tale"is sold at Village Gifts at 425 W. Dearborn St., Englewood. ENGLEWOOD: When Garry and Cindy Walter found a life in art after a trip to Gatlinburg, Tenn., they never expected Hollywood to come calling. Living in Florida for more than 35 years, the Englewood couple decided to pursue art and crafting classes at the Englewood Art Center. 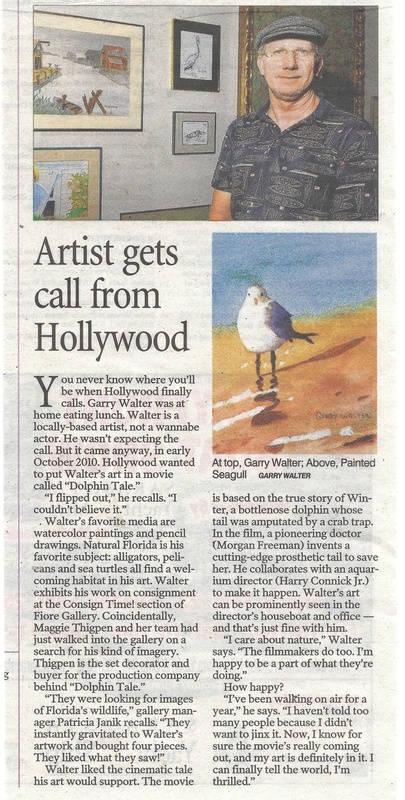 After production staff for the 2011 movie "Dolphin Tale" spotted one of Garry's drawings at Consign Time in Osprey, Hollywood came calling. The film is about a boy who bonds with an injured local dolphin after it lost its tail in a crab trap. 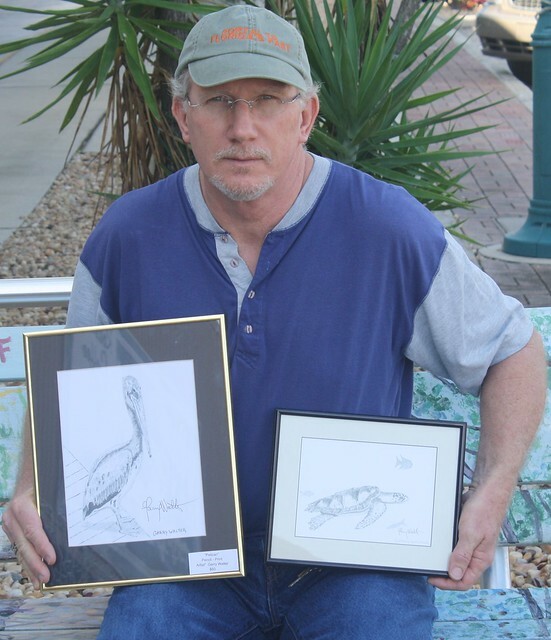 "Two of my (pencil) works got to be in the film, a pelican and sea turtle, which were featured in Clay Hasket's (played by Harry Connick Jr.) office," Garry said. Garry's pelican drawing appears in the film next to Hasket's desk while the loggerhead is on a bulletin board in the office, where a prosthetic was discussed in the film for Winter, the dolphin. Garry currently is working on illustrating a children's book with author Amy Elder called Portal to Florida's Past: An Archaeology Adventure. It is a 52-page educational book told through the eyes of talking animals, Garry said. Some of Garry's work can be seen locally at Village Gifts and Gallery, 425 W. Dearborn St.; and at the Spinnaker Cafe, 3542 N. Access Road, Englewood. "Garry's work personifies the beauty here in Englewood," said Shelly Stout, owner of Village Gifts. "His work reflects his personality genuine and gentle." 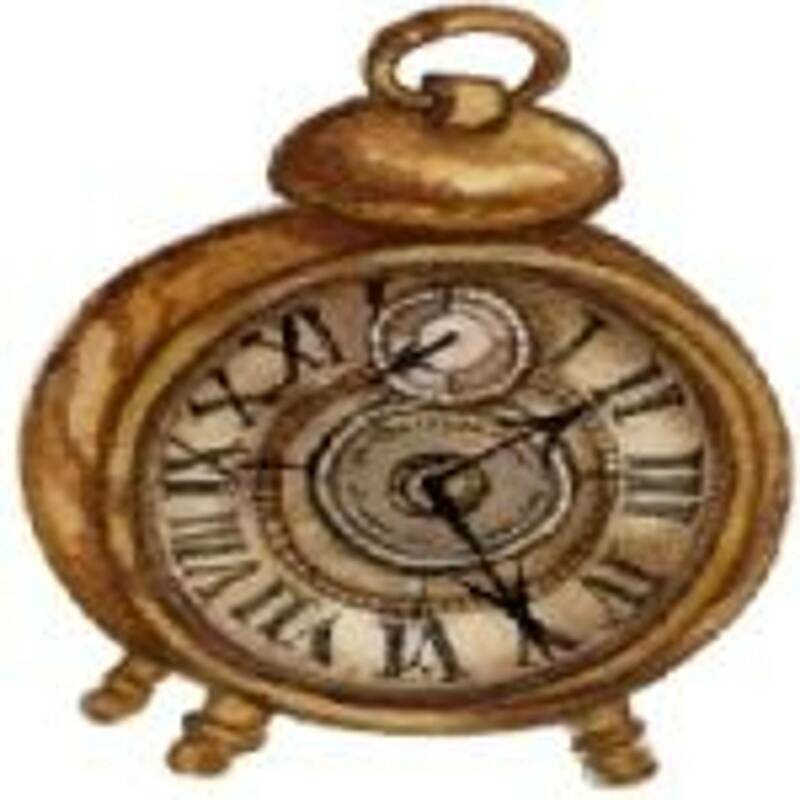 Cindy specializes in recreating relics through older crafting methods from the 17th, 18th and 19th centuries. "It is a connection with history and a forgotten way of daily life," Cindy said. "Each craft represents a skill that was needed for primitive housekeeping." It's a great way to recycle and an artistic outlet," she said. The couple's online store, http://www.oldetymeartsandcrafts.com, sells various kits for spool knitting, rag rugs, quilting, pine needle baskets, weaving sticks, hand loom and beading, and rag dolls. They also sell instructional videos and ready-made items like rag rugs, baskets, jewelry, primitives (embroidered designs on cotton), placemats and purses. "The old ways should be retained and not forgotten," Cindy said. "Without history, we do not know where we have been and what we have learned." Cindy's favorite item for sale is a rag rug representing a historic culture in the Appalachia region. "The craft was in danger of being lost and forgotten," she said. 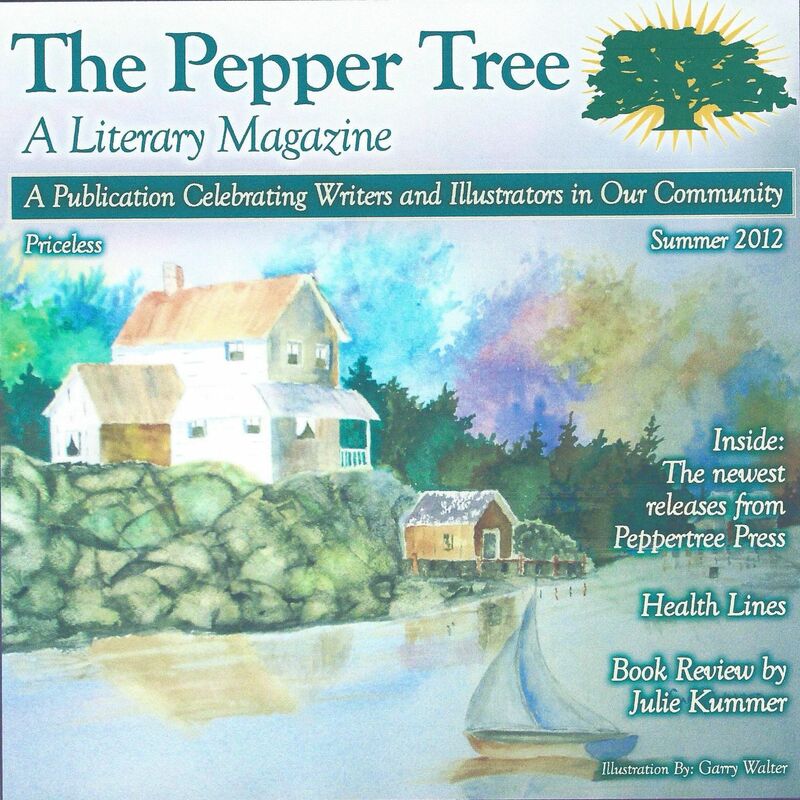 Cindy's items are featured at historical parks in Jamestown, Va., and Harpers Ferry, W.Va.
Garry and Cindy will speak about their creative ventures with old-time crafting methods and how Garry's work made it to Hollywood during the 11th Annual Lemon Bay Fest: History With Zest. Crafting to Hollywood and Beyond, featuring a discussion of Garry's involvement with "Dolphin Tale," will be held from 2 p.m. to 3 p.m. Feb. 5, and from 10:30 a.m. to 11:30 a.m. Feb. 8, at the Tringali Center. For more information, go to http://www.lemonbayfest.com or call 941-681-3736. SUN PHOTO BY TOM CHANG, Cindy Walter specializes in old-time crafting. She sells kits online at www.oldetymeartsandcrafts.com to make items that were used in the 17th, 18th and 19th centuries.